We now offer EGR Removal services for the Citroen C5 2.0HDI and 2.2HDI, both the 110bhp and 133bhp models. Our EGR removal service is not just blanking the EGR pipes whilst the on-board ECU continues to believe the EGR is doing it’s job and then deleting the error lights.. we offer a complete EGR De-Activation service. We are able to switch off the EGR system, completely de-activating the EGR and by doing so – there is no need to fit blanking plates to the EGR pipes because the valve will always remain 100% closed. This EGR Delete is our very own in-house solution. Sometimes you can remove the EGR valve and clean it – this can cure some faults and the EGR will start to work again, however, you need to ask yourself why the EGR got so clogged up in the first place. Was there a lot of oil sludge on the EGR valve or just carbon build up? – If there was a lot of oil sludge, then chances are your turbocharger is leaking oil and so it will be an on-going problem. Click Here To Find A Sinspeed Approved Dealership Near You – We Operate A Nationwide Service Covering The UK & Ireland. Instead of continuously paying out to have the EGR valve cleaned or even expensive replacements, why not consider de-activating the EGR system completely.. there are a lot of added benefits in doing so. No Need To Replace Or Repair – Ever! Our EGR Deletes are completely reversible and invisible, there are no mechanical bits to fit or remove. No need to fit custom EGR blanking plates, no need to remove the system and block pipes off. Everything will stay as it is, because it is all electronically controlled – we can switch off the complete EGR Valve system directly through the ECU with our very own in-house solution. All of our EGR Delete solutions come with our lifetime software warranty and are completely reversible. For more information, please call us on 0844 847 9999 or email us today. Tags : Blanking Citroen C5 EGR Valve, Citroen C5 EGR Blockage, Citroen C5 EGR Deletes, Citroen C5 EGR Fault, Citroen C5 EGR Problems, Citroen C5 EGR Removals, Citroen C5 EGR Valve Blanking Plates, Citroen C5 EGR Valve Blocked, Citroen C5 EGR Valve Faults, Citroen C5 EGR Valve Faulty, Citroen C5 EGR Valve Repairs, Fixing Citroen C5 EGR Valve, Removing Citroen C5 EGR Valve, Repairing Citroen C5 EGR Valve. We have emailed you details in regards to the EGR Removal services offered in Australia. I’m in Melbourne Australia, can you please send me details of your expert please. We’ve sent you an email with full pricing and information for the EGR delete service offered in Australia. I am having problems with the egr. Dash lights on “service” anti pollution. We’ve sent you an email, please respond to that with your location for a customised quotation. Can you send me the details regarding getting it done in Australia as well. I’m over the EGR related limp mode faults. Please send me the contacts details for melbourne, Australia. We’ve sent you an email with pricing and further information of our EGR Delete services in Australia. Thank you for your enquiry and many apologies for the delay in our response. I have sent over an email with pricing & further information regarding the EGR Removal for your Citroen C5. I have sent over an email with pricing & further information regarding an EGR Removal for your Citroen C5. Citroen c5 2litre diesel 58 reg, showing “anti pollution” fault, spraying egr cleaner and tapping the egr housing, normally clears the fault but now refusing to start. Comments please and cost estimate. 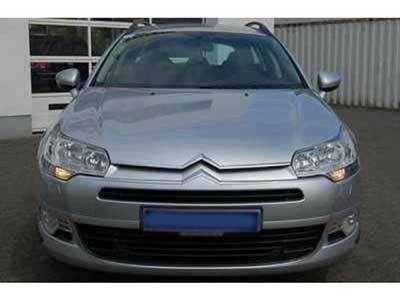 I have just sent over an email for further information regarding the EGR Removal on your Citroen C5. We’ve sent you an email with pricing and information about our EGR Delete services in Australia. I would recommend getting the fault code read as the anti-pollution warning can come on for many reasons. I have, however, sent you an email with full information and pricing as requested for our EGR Delete services if required.